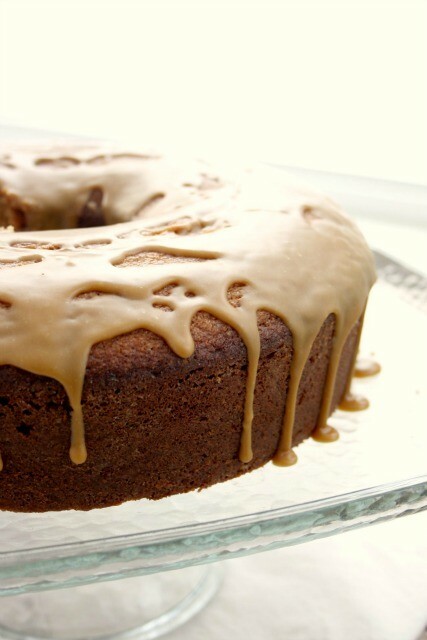 Molasses Pound Cake is a beautifully textured cake with a doughnut-style glaze and buttery molasses flavour. 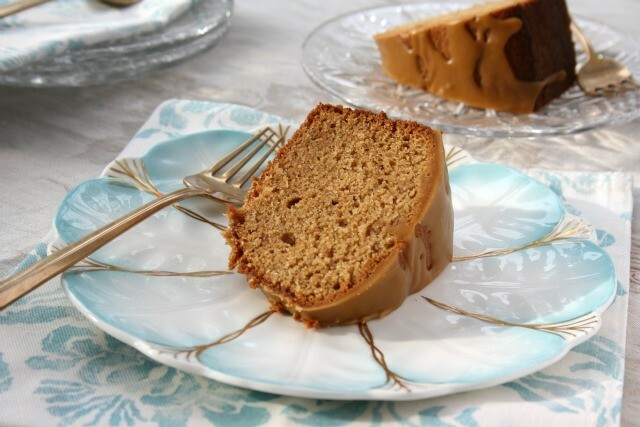 I have always loved the texture of pound cake. Even when I was very little I knew exactly the difference between a pound cake and other cakes. And even though my mom baked all the time, occasionally my dad would arrive home with one of those block-shaped grocery store pound cakes and we’d all devour it in one sitting. The wonder of a pound cake, aside from the buttery flavour and dense crumb, is that it cuts so beautifully. This recipe makes a good-sized cake that can feed a crowd. Slice the pieces as thin as you’d like and nary a crumb will fall. That’s not to say this pound cake is tough — it has a gorgeous texture. 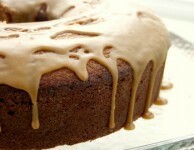 The glaze, reminiscent of a doughnut glaze, is all this rich cake needs as a topper. 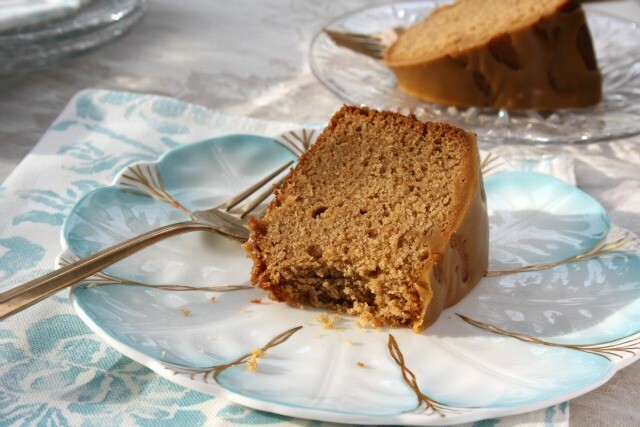 The recipe is adapted from a maple cake recipe in the newish cookbook published by Barry Parsons of the excellent East Coast blog, Rock Recipes. Preheat oven to 350 F and grease and flour a 10 cup tube or bundt pan. In a medium bowl, whisk flours, baking powder and soda. In a small bowl whisk the milk and molasses. In a large bowl, cream butter with white and brown sugars. Beat in eggs, one at a time. Beat in the vanilla. Stir the dry ingredients into the creamed mixture in three additions, alternating with the milk, beginning and ending with the dry. Spoon batter into prepared pan and bake for about an hour, until the top springs back when lightly touched and the cake is beginning to pull away from the side of the pan. Cool in pan for about 10 minutes then remove from pan and set to cool. When cooled, drizzle over the glaze.